One of the most prolific and unique musical projects in the electronic music scene returns with a long-awaited new long-playing album that marks one of the strongest works Die Form has ever created. Elaborately combining mesmerizing and disturbing photo art, experimental sound scapes, classical influences, heavenly voices and a rather healthy dose of relentless club sounds, Philippe Fichot and Éliane P. weave a sonic web on “Noir Magnétique” that is nothing short of enthralling. It is seldom that music works in both a club context and as a work of art. 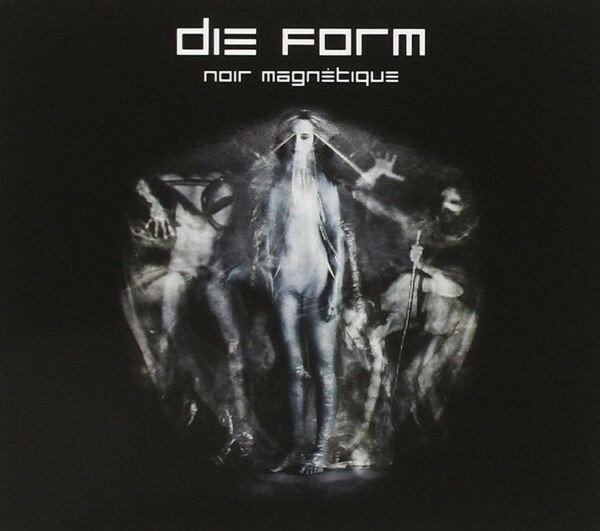 Die Form have achieved just that… while “Noir Magnétique” is one of the group’s most accessible and dance floor compatible releases, ever, easily matching their most successful club hits, it still sports an absolutely unique sound and artistic vision. The album expertly continues the path Die Form took with last year’s smashing single “Her(t)z Frequenz” (which is also featured on the album in a dazzling new mix) with strong beats, enticing melodies, cold sounds and a constant tug-o-war between harsh emotional coolness and pure, innocent beauty. “Noir Magnétique” will be released as a regular CD version and a lavish collector’s set, limited to 999 copies, and containing the album plus the special exclusive 7” single “Kobol” and a deluxe large-size booklet with the album photo art in an elaborate 7”-sized box. “Noir Magnétique” is not only driving Die Form’s unique sound to perfection – it is also an instant classic that shows the French Art Electro project at its very best. Electronic Club Sounds as an art form! Customer evaluation for "DIE FORM - Noir Magnetique CD (2009)"